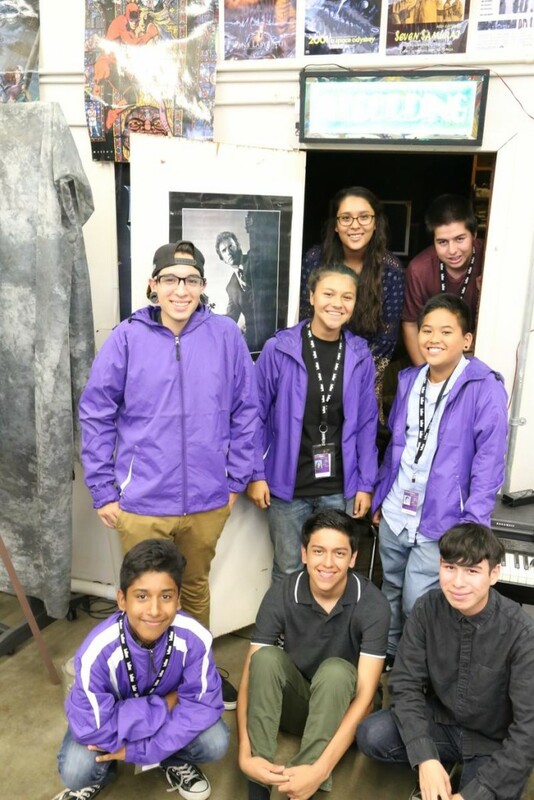 It’s been a dream of Santiago High School’s arts and media teacher, Tina Ellingwood, to turn a storage closet in the back of her digital media lab into something more useful. 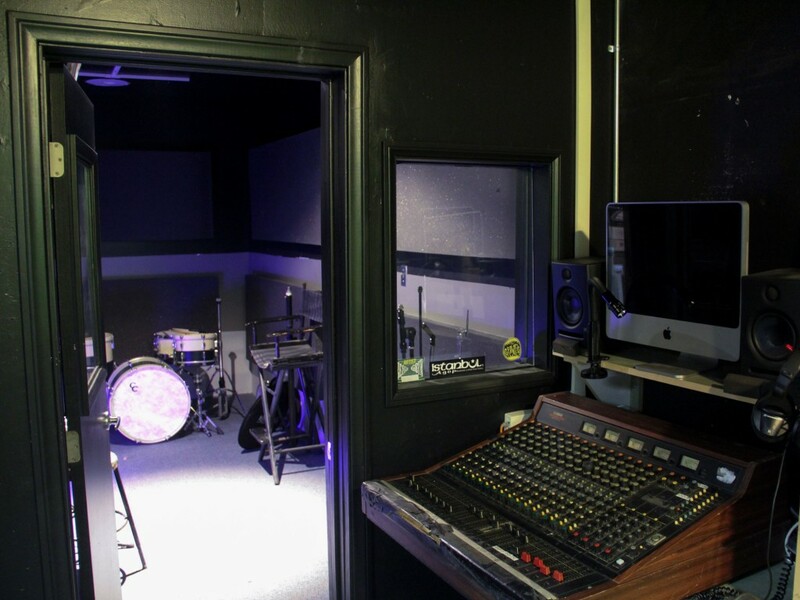 With the start of the new school year, that dream became a reality after a state-of-the-art recording studio was installed and deemed ready to use. 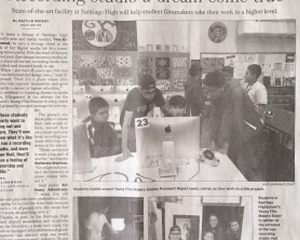 In addition to teaching classes in media arts, Ellingwood is the advisor for the school’s Young Film Makers Society, which will primarily use and manage the new studio. 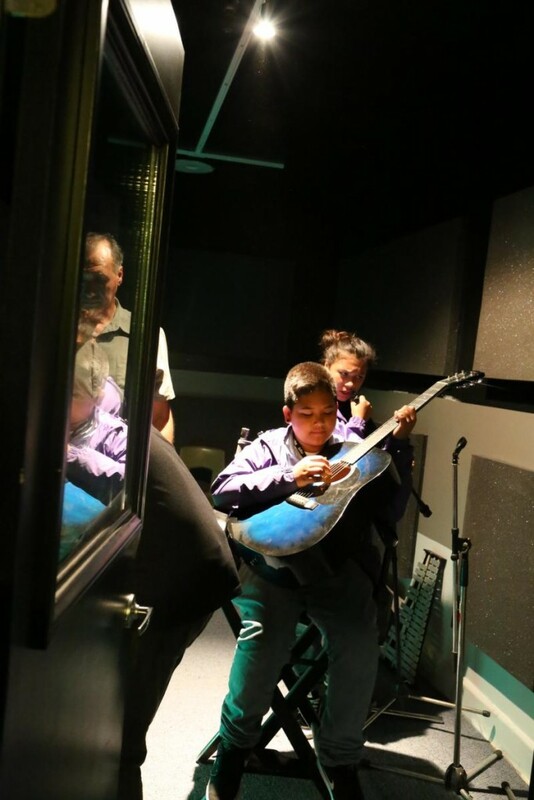 The group’s students plan to create their own sound effects, record their own music and even book recording sessions with other students at the school. 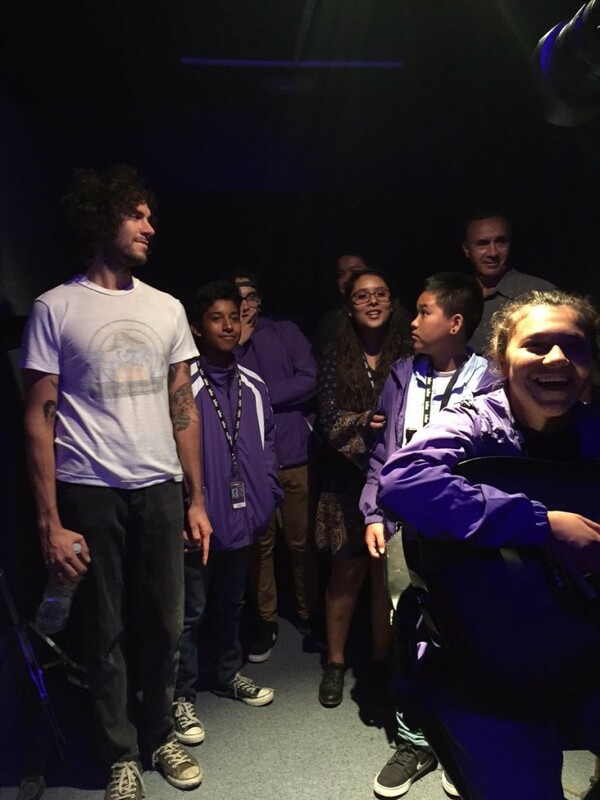 Thanks, in part, to the Santiago High School alumni association and donations from the Growlers, a local rock band, the studio is equipped with professional-grade equipment that mirrors what one would find in the entertainment industry. 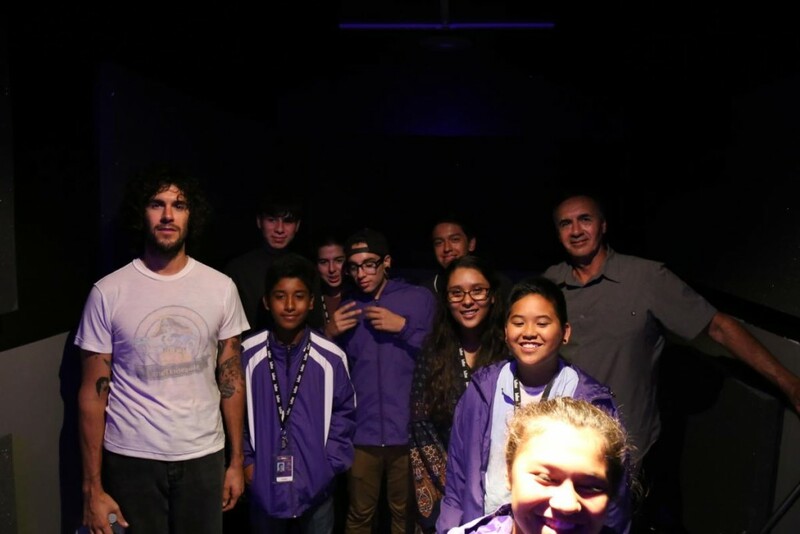 To get the project started, the alumni association’s treasurer, Adrian Montoya, reached out to his son, Scott Montoya of the Growlers, for assistance. 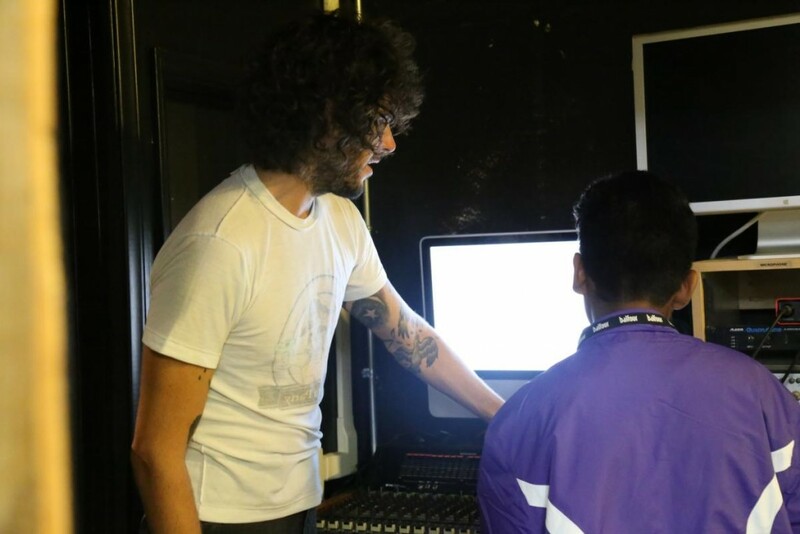 Scott Montoya, drummer and engineer for the Growlers, volunteered to teach the students how to operate the sound board and properly record. He also helped secure sponsors such as Hurley, C&C Drums, Istanbul Cymbals and Micworks. 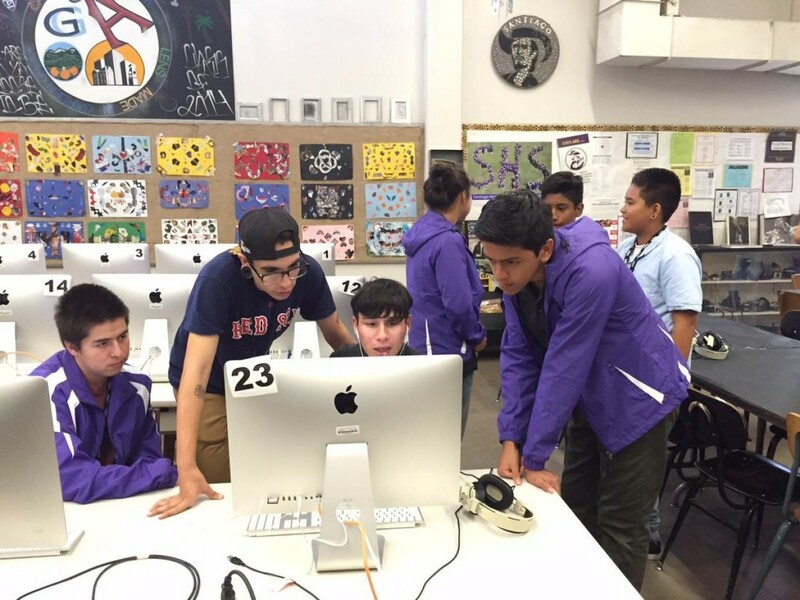 Students say having access to the studio will give them the ability to control every aspect of the projects they create, making their work stand out. The film club meets every Friday after school for three hours. Ellingwood says she doesn’t have to prompt anyone to devote that extra time. The Growlers will perform Saturday and Sunday at the Beach Goth festival at the Observatory this weekend in Santa Ana and will be accepting donations for the school’s program at their merchandise booth. 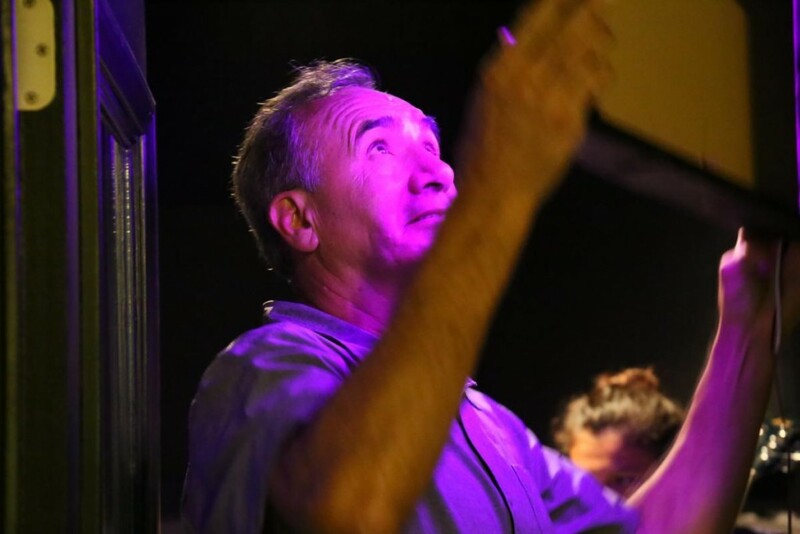 Others interested in donating to the cause can email santiagostudio.donate@gmail.com. Next Post Thanks to Istanbul Cymbals For The Nice Set!